Local sporting stars have been celebrated at the tenth annual Charnwood Sports Awards. The awards ceremony, organised by Charnwood Borough Council honoured over 35 shortlisted individuals and groups at Burleigh Court, Loughborough on Monday, December 3. Loughborough Town Swimming Club was crowned Club of the Year. The award was named after Councillor John Sutherington, who sadly died earlier in the year. Cllr Sutherington was well known for his commitment to the community and passion for sport. MOVE Charity, founded by Gemma Hillier-Moses, won the new Joe Humphries Special Recognition award. Through physical activity and sport, the charity supports children and young people living with and beyond cancer. The Joe Humphries Special Recognition award was launched this year to celebrate the tenth anniversary of the sports awards and recognises inspirational people who have made outstanding achievements in the face of adversity. Gemma said: “I was really surprised but honoured to receive the Joe Humphries Special Recognition Award. Other winners on the night included Leicester Tigers prop Joseph Heyes, who won Senior Sportsperson of the Year, Charnwood College Riders were awarded Junior Team of the Year and Callum Orr was awarded Outstanding Contribution to School Sport. Runners-up included Gorse Covert Walking for Health which was nominated for Outstanding Contribution to Sport and Physical Activity. Ann Bullock from the club said: “We were really excited to find out we had been nominated for the award. 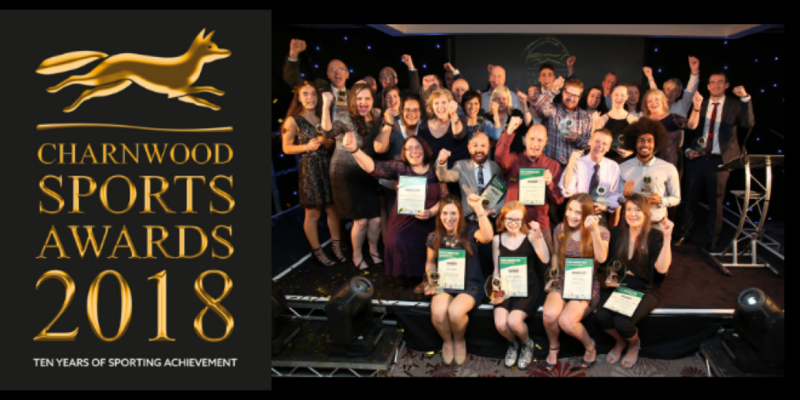 Cllr Deborah Taylor, the Council’s lead member for communities, said: “The Charnwood Sports Awards is a fantastic opportunity to recognise all of the talented sports people we have in the borough. “This year the sports awards celebrated its tenth anniversary and the evening was thoroughly enjoyed by everyone who attended. The categories recognised the achievements of junior and senior athletes, coaches, volunteers and individual projects. This year’s event was sponsored by Sports Traider, Loughborough College, Team Charnwood, Hit the Street, Loughborough University, Fusion Lifestyle, Leicestershire and Rutland Sport, Active Charnwood Alliance, Idverde, Colton Packaging and Joe Humphries Memorial Trust.